Upgrade Your Bowflex Home Gym Equipment Today With Bowflex 310-Pound Rod Upgrade From 210 Lbs. 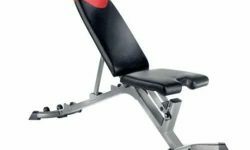 Bowflex – The home gym equipment manufacturers have been in the market since 1986. Their parent company is Nautilus Inc. Who is second to none in fitness equipments. With two decades of success story, they are still the most widely preferred by customers due to their good product line. A specialty of their home gym equipments is the use of power rods to give resistance instead of free weights. Without free weights you are safe from inertia and joint pains. 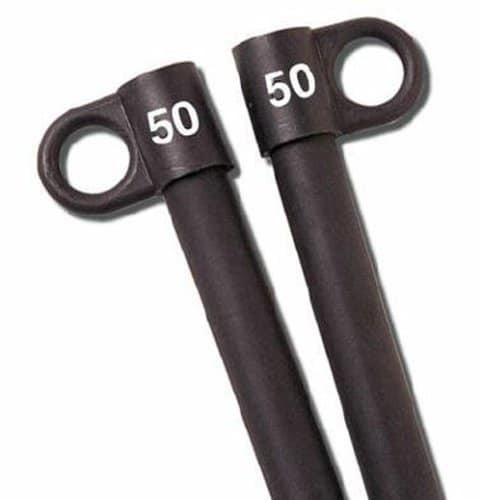 These power rods offer heavy weight resistance of 5 pounds to 50 pounds each totalling to 210 pounds. Once you are comfortable with 210 pounds, you can make your workout even more challenging by upgrading it to 310 with Bowflex 310-Pound Rod Upgrade available separately. Yes, once you have maxed out your exercises using 210 pounds, you don’t have to buy a new machine, you just have to upgrade it to 310 lbs and then 410 lbs by purchasing the power rod separately and it is easy to install. Bowflex gym equipments use power rod progressive technology. It uses your own weights as pulley instead of using free weights. It uses the mechanism of a bow and arrow. When you string back the bow with the arrow, you don’t feel much resistance, but once the arrow is loaded it becomes difficult. Similarly, when you use 100 pound rods, you lift lesser weight, but as you proceed to the full height you feel the pressure and resistance. This method is suitable for overall toning and strengthening, but not for building muscle mass. Why you should upgrade to 310 lbs from 210 lbs Pound rod? Get stronger and more toned using these higher resistance power rods. It comes as a pair of 50 pound rod attachments for higher resistance. 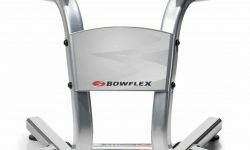 Supports many models of Bowflex like Power pro, Motivator, Xtreme, Xtreme 2, Sport and Blaze models. Comes with a lifetime warranty and it is easy to install. It is physically challenging and great for beginners. You don’t have to move heavy free weights during work out as they are fixed parts. Joint pains, muscle soreness, inertia and any injury which is caused by free weights can be avoided. It helps to isolate specific muscle groups. An upgrade increases the range of exercises that can be done on the equipment. What to be aware of when upgrading to 310 lbs pound rod? Cannot be used to upgrade certain models of Bowflex like Classic, PR1000, Motivator 2 and Conquest. If you are looking for building up muscle mass, this pound rod upgrade is not the best one suitable to you as you need an intense workout with free weights. Some say, these pound rods bend easily and the resistance level is lesser than the original rods. Resistance is through cables, which allow only a specific range of movement and requires only a specific range of muscles. 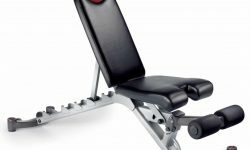 If you are a beginner and someone who wants to lose weight and tone your body using more resistance, get your Bowflex home gym upgraded to 310 lbs from 210 lbs. But if you are an athlete or one who wants to build your muscle mass, upgrading the rods won’t help and you need free weights to achieve your target. https://www.dumbbellshop.org is a participant in the Amazon Services LLC Associates Program, an affiliate advertising program designed to provide a means for sites to earn advertising fees by advertising and linking to amazon.com, amazon.co.uk, amazon.ca. Amazon and the Amazon logo are trademarks of Amazon.com, Inc. or its affiliates.